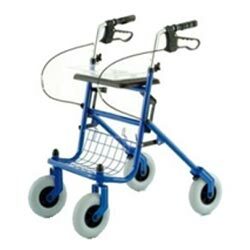 Rather than lifting the walker to move, you just push. The walker simply moves to your command, easing, supporting, and stabilizing. Easy folding mechanism, for storage.